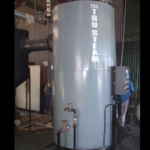 Tru-Steam Boilers & Service is an Australian based boiler manufacturer company situated in New South Wales and we also service Canberra ACT, Brisbane Queensland, Melbourne Victoria, Adelaide South Australia, Perth Western Australia, Darwin Northern Territory and Hobart Tasmania. 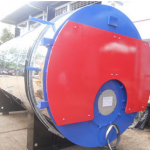 We manufacture boilers, install and service a big range such as Gas Boilers, Steam Boilers, Fire Tube Boilers, Water Tube Boilers, Wood Fired Boilers, Package Boilers , D type boilers and Vertical Boilers in Australia and across the international market including FIJI, PNG, Vanuatu & Samoa. We also provide boiler rental, second hand boilers / refurbished boilers / used boiler sales as well as boiler spare parts and boiler re-tube / refurbishment services. Our fire tube boilers are manufactured to last, they are available in a variety of different designs. Fire tube boilers are available in single pass, 2 pass and 3 pass patterns. Recent technology upgrades has allowed us to design more compact and efficient fire tube boiler designs. To match the firing rate the boilers are equipped with modulating and other controls. The most common type of small / medium sized water tube boiler is the D type boiler. 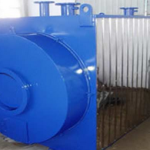 Producing 150psi the d type water tube boiler includes a vertically connected large steam drum to a smaller water drum (for example a mud drum) through a number of steam generating tube, it includes 2 drums. These water tube boilers are quite practical, are great for small spaces / rooms and are very efficient. Vertical boilers are designed to cater for use of wide variety of fuels.These boilers are all equipped with boiler safety and management systems. The boiler management system is also integrated in these vertical boilers, the system manages control of all functions and operation of the boiler, it coordinates the correct safety requirements needed for automatic combustion as well as steam pressure control and stop quality water level security. We manufacture a wide variety of steam boilers which all have optimum efficiency in fuel usage commercial and industrial purposes. 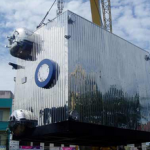 Our highly efficient steam boilers are ideal for generating steam for laundry, clothes pressing, hospitals, food processing and other steam room applications. 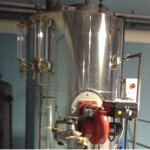 We manufacture and install Hot Water Boilers for commercial and industrial business. Our hot water boilers are designed to provide our clients with maximum energy output based on their business requirements. 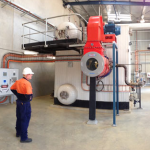 We specialise in boiler design (suited to your business premises), installation and service of hot water boilers in Australia and the South Pacific. Gas boilers use gas as a main source of fuel. Many businesses prefer to use a gas-powered boiler because as a fuel source it’s cost-efficient. Depending on your requirements, we have a number of options to suit every commercial gas boiler application. 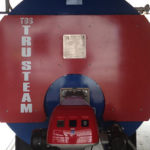 From boilers with a small output range to large capacity units that provide saturated superheated steam, Tru-Steam have Boilers to suit every application. If you are in the market for a brand new boiler we can assist. We manufacture our own boilers, we also provide boiler design services for new boilers. If your factory / place of business has limited space we will asses the area and provide you with a recommendation for a new boiler system which will best suit your power output requirements and which will best utilise the available space. If you are running on a tight budget and cannot afford to pay the price for a New Boiler it may be worth your time to explore more cost effective solutions such as a second hand used boiler. We provide second hand water tube boilers, second hand fire tube boilers, as well as Gas and wood fired boilers. All boilers are in tip top condition and have been quality checked. 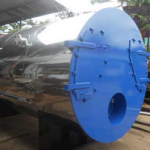 We provide used water tube boilers, used fire tube boilers, used wood fired boilers, second hand gas boilers, and more. Get in touch with us today to find out more about second hand used boilers. If your boiler is having problems & you require an emergency boiler repair service, we are able to assist 24/7 across Australia, PNG, FIJI, Vanuatu and Samoa. If your boiler is experiencing multiple issues after a number of repairs, it may require a boiler overhaul. In this procedure we will organise to pick up, transport the unit to our boiler overhauling factory and return it once the process is complete.